Protect your jewellery when you’re not wearing it. Store it in a proper storage box (not a gift box) or wrapped in an airtight container such as a plastic ziplock bag. 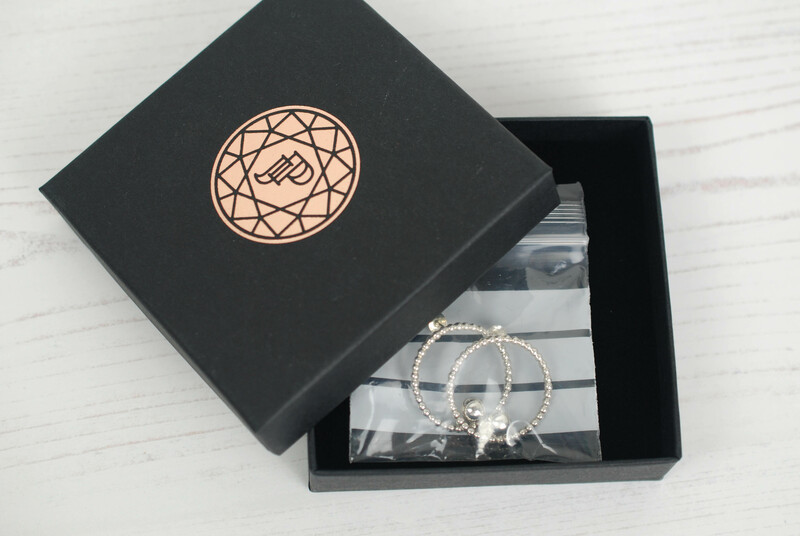 If you don’t have a proper storage box, use your gift box, but make sure the jewellery is wrapped in a plastic bag. Sometimes the glue from the gift boxes can make the jewellery tarnish quicker, especially sterling silver. Make sure it’s the only item in the box to avoid unwanted scratches or marks. If you leave your jewellery on your bedside table or out in the open it can tarnish very quickly. Hairsprays, suntan lotions, soaps, hand creams, washing-up liquid and make-up etc. Chemicals and substances like these can discolour and damage your items. Apply perfume, suntan lotion or other lotions before you put on your jewellery and make sure it’s completely dry. Gardening, swimming, showering, bathing and exercising, especially any exercise that includes handling equipment such as lifting weights or gripping poles or aerial hoops (I personally love aerial hoops, so I have first-hand experience with this!). A humid climate, as well as body products and secreted acids (for example your sweat), can discolour your jewellery. Extreme temperatures and humid environments where possible. Don’t wear gold or silver rings next to platinum or exposed diamond rings – platinum and diamonds are much harder wearing and can damage your other jewellery pieces. To keep your jewellery looking as good as the day you purchased it, it’s important to do a regular clean and polish. 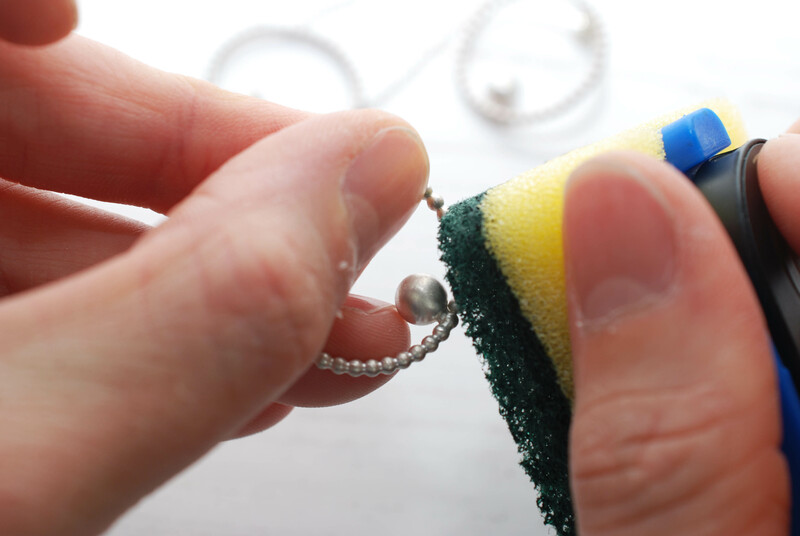 Each precious metal has different needs when it comes to cleaning, so check the guide below for what to do with jewellery. Silver – Wash for one minute with warm water and a very gentle liquid detergent solution. Dry with a soft cloth. A jewellers polish cloth and polish foam can work wonders if your silver piece is heavily tarnished. If you’re looking for that brand-new shine, a silver dip can give it that nice natural finish again. Gold – Same as the silver but also dry wipe with a soft cloth. Precious gems – Wipe gently with a soft, slightly damp cloth or tissue. Gold vermeil/rhodium plating – If your jewellery is gold vermeil or rhodium plated take care when cleaning it. Use a very soft cloth and only give a very gentle polish. When gold vermeil and rhodium plated jewellery is knocked or scratched, the fine layers of gold and rhodium can rub off. Matt finish – Pieces with a matt finish will become shiny through wear. While some people like this look, others don’t. Don’t worry, it can be easily restored at home. Just take a scouring pad and some soapy water to restore the matte finish. Be careful not to scratch any stones! If you’re unsure, test it on the back of the item first. Oxidised jewellery – The black finish on silver jewellery is called oxidising. Oxidising, as well as gold vermeil and rhodium plating, can wear away over time to reveal the shiny silver underneath. Some people like this look, but if you prefer your piece to be black, get in touch with me and I can oxidise the piece again for you. Taking proper care of your precious jewellery will keep it sparkling and looking good as new for yours and its lifetime. All of my jewellery is handmade in my studio in London and don’t worry, I send a personalised care plan with each item! If you have any specific questions about how to care for your jewellery get in touch with me and I can offer advice or even clean it for you for a small fee.